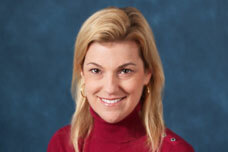 Maria Chandler, MD, MBA, is the faculty advisor of the MD/MBA program. The UC Irvine MD/MBA program was founded in 1998, making it one of the oldest dual-degree programs in the United States. Since then, UC Irvine has taken a national leadership role in the development of physician leaders. The UC Irvine MD/MBA joint degree program is aimed at individuals who are exceptional in ability and motivation and who seek a career as physicians with major responsibility for administration and management in health care organizations and institutions. Students in this program pursue a combined curriculum for an MD degree from the UC Irvine School of Medicine (SOM) and an MBA degree from the UC Irvine Paul Merage School of Business. Interested students apply to the program during their second year of medical school. A variety of related opportunities are offered to students before that time. No previous business studies or work experience is needed.